Every verse of this twentieth section of Psalm 119 begins with the Hebrew letter Resh, symbolizing “wickedness as well as higher conciousness” (BJE.org). 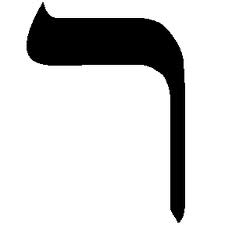 Resh relates to the word rosh, which means “head” and is the source of intellect. Jewish oral tradition equates resh with rashah, a wicked person. This meaning fits with the section’s content as it contrasts the righteous with the wicked. As we’ve seen repeatedly in the Psalm, the prayer for deliverance from affliction is coupled with confession. for I do not forget your law (153, ESV). for they do not seek your statutes (155, ESV). give me life according to your rules (156, ESV). but I do not swerve from your testimonies (157, ESV). because they do not keep your commands (158, ESV). Give me life according to your steadfast love (159, ESV). Believers love God and God loves believers. In his great love, he promises life-giving deliverance from adversity now and perfect life for eternity. God’s promises are true. and every one of your righteous rules endures forever (160, ESV). The whole of scripture comprises truth. We should not pick and choose verses to suit our particular whims. The Bible is a cohesive unit of which every word endures forever. This post began by commenting on the association of the letter resh with wicked intelligence. But there is another aspect of the letter’s meaning. Its shape indicates a bowed head. This represents the humble believer who submits to God’s word and will. May the sum of God’s truth click in your mind as you confront the intelligent wicked wrecking havoc in your life! Take heart! Christ has overcome the world!